Cycling is a fun way to move around. It is even a better way to actually keep fit. However, it can only be fun if you have the right equipment, the right knowledge, the right attitude, and the right attire. Let us discuss about attire. Basically, fashion in cycling is only a secondary priority. Your attire is of utmost important not because of fashion or fad, but purely because of the fact that the entire activity depends largely on it. 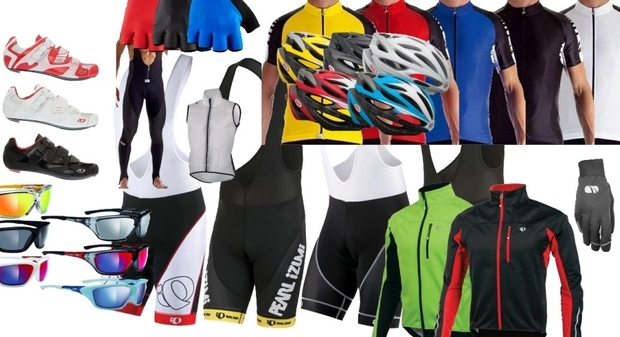 There’s also a lot to think about: top, bottoms, socks, skinsuits, vests, jackets, undershirts, sunglasses, helmet, gloves and a whole bunch more accessories. Cyclists must understand that there are different kinds of attire that they can wear and this attire or clothing is uniquely created for specific purposes. Of course, modern cycling clothing is fashionable. They are made to be pleasing both the body of the wearer and the eyes of the seer. However, choosing the right clothing for cycling is very crucial. If you pick the wrong attire, you might end up being devoured by exhaustion and dehydration earlier than normal. At this juncture, we are going to discuss some helpful pointers on the selection of the appropriate clothing choice for cycling. The core thing that all cyclists must remember is that there is no ‘one-clothing-to-rule-them-all’ motto in the selection of attire. Basically, there are different cycling attires that you need to have depending on the existing environmental conditions. During summer, things can get pretty hot – literally. As such, you have to choose the clothing attire which is best suited for this season. Generally, summer attires are those which are light-colored and thin. They need to be light-colored because light colors reflect light better than dark colors. Dark colors, actually absorb the light coming from the sun, making things even more uncomfortable for you. This is one of the reasons why some new cyclists feel exhausted even with just a few minutes of cycling under the heat of the summer sun. You need to have attire which is light and thin, something that is not made of modern nylon or even silk. Why? Well, these aforementioned fabrics are light, and they do not absorb perspiration. Basically, they keep the heat of the sun out, and they keep your perspiration out. Keeping your sweat out is an issue of health because it can actually cause all kinds of ailments. You also need good sunglasses. Well, you need one whatever the season might be. In summer, you might need it more than in any other season, simply because the sun’s light and rays is more intense now more than the rest of the three. Of course, one must not forget healthy canteens of clean water. H2O is not a matter of luxury, it is a matter of survival and necessity. Some new cyclists assume that one bottle is enough. In fall or winter, maybe one bottle will suffice; but in summer, one is a foolish mistake you might not recover from. As we have established, the sun is your primary enemy when you are cycling in summer. That being said, you need a healthy supply of water in order to stay alive and kicking. Autumn or fall is a very tricky season – it is a season that seems to be unable to figure out what its temperature is going to be. Most of the time, autumn is chilly. But sometimes, it can get a little hot. It is for these reasons that you need to have unique attire specifically designed for autumn. First, you need to have several layers of clothing. This is to trap air in between the layers of your clothing. Basically, the trapped air would serve dual purpose: it would keep you cool if the weather gets a bit hot, and it will keep you warm if the temperature dips. In other words, the layers work as a sort of temperature regulator. Because autumn is close to winter, things are likely to get colder. Of course, it can get hot especially at noon or early and late afternoon, but it is generally cold. As such, you need to have special warmers for your knee, arm, and leg. These are the parts that are easily exposed to the cold breeze. When you are speeding on your bike, the softest breeze can cause massive discomfort, especially if it hits in unprotected areas of your body. Of course, you also need to have a light jacket – thick enough to keep you warm, yet not too thick so as to make you sweat too much. I also recommend cycling gloves. As a matter of fact, dark gloves are very crucial in the sense that your hands are the ones which first experiences the cold and harsh weather. Winter is usually a time when many cyclists do not go out. Indeed, winter can be too harsh, especially for individuals which are new at this activity. However, if you really want to enjoy the glory of Jack Frost, if you really want to test your mettle, then winter will offer you the most perfect timing for cycling. However, you do need some specialized equipment. First, never forget the helmet. Whatever the season might be, always wear a helmet. Without it, you can either go to prison or to the morgue. Secondly, you need to protect your head even more. Helmets for cyclists are designed to have open vents. These vents, while they provide comfort during warmer days, are killers during winter. This is why you must wear a protective winter beanie to warm your head. Your jersey should also be thick and long, plus, they need to be bright colored. Do not wear long-sleeved jerseys which are dull as these will make you difficult to spot if you get lost. The jersey is your external attire. It is not everything. By itself, the jersey will do little to save you from the merciless cold. In order to survive, you need to wear more layers beneath the jersey. First, there is the base-layer, the thermal bibs (to keep your lower extremities warm), and the heavy thermal jacket. 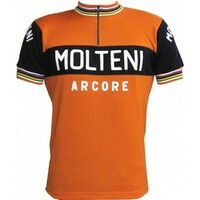 One place I recommend for jersey’s is Voler which produces great quality. Of course, you should also look to specialized socks, winter shoes, neck warmer, thick specialized gloves (thermal), and dark glasses. Still, whatever the season, with the right set of cycling clothing you should be comfortable year-round. Posted in Buyers Guide on June 3, 2013 by Rich.